As a small law firm, we are committed to providing exceptional client service. We firmly believe that seeking the assistance of an attorney should not be a stressful experience. Our lawyers are committed to helping hardworking, everyday people like you obtain healing and freedom from financial struggle. As part of that commitment, we offer free, no-strings-attached initial consultations so that you can get to know us and our philosophy. We don't treat clients as numbers; we build relationships with clients. We are dedicated to earning your trust and ensuring your experience is a positive one. If you are burdened by debt and financial strain, we would like to help you change direction and attain lasting financial health. 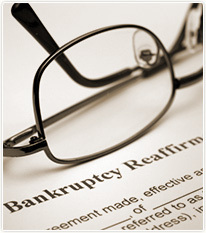 Call the Bankruptcy Law Firm of Clare Casas in Fort Lauderdale, Florida, at 954-327-5700. You can also contact us online. We believe money should not be a barrier to obtaining legal counsel. Our firm offers reasonable fees and flexible payment plans. For your convenience, we are open evenings and Saturdays.